Da-Eun Kim, a fourth-year mechanical engineering student at McGill has been selected as one of five recipients of a 2015 CEMF Undergraduate Women in Engineering Scholarship. Da-Eun Kim is a fourth-year mechanical engineering student. 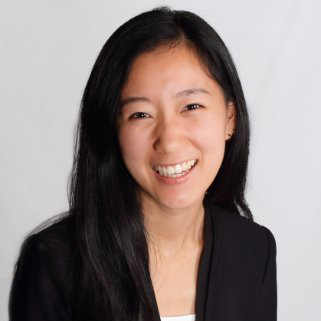 Da-Eun Kim, a fourth-year mechanical engineering student at McGill has been selected as one of five recipients of a 2015 CEMF Undergraduate Women in Engineering Scholarship. The scholarship is awarded annually by the Canadian Engineering Memorial Foundation (CEMF) to recognize the most promising women in an accredited undergraduate engineering program in Canada. One winner was selected from each of five regions (British Columbia, Prairies, Ontario, Quebec and Atlantic). McGill’s Da-Eun Kim will represent the Quebec region. Other winners include Sarah Douglas (University of Victoria); Aliya Lakhani (University of Manitoba); Samantha Stuart, (University of Toronto); and Ellen Fraser (Dalhousie University). All of the recipients are actively involved in their communities, volunteer many hours to helping others and are strong role models for the engineering profession. Their accomplishments will be recognized at the CEMF Networking and Award Event being held this May in Calgary, Alberta. Since 1990, the Foundation has been promoting engineering as a career choice for young Canadian women through its extensive scholarship and networking program, a website that attracts thousands of new visitors a month, social media, and high school outreach.